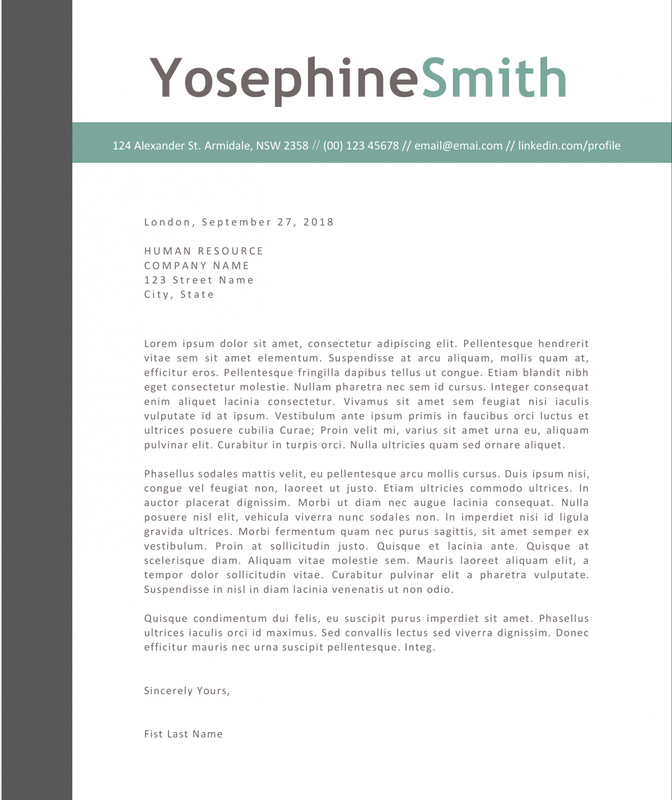 The Yosephine Cover Letter is the perfect addition to your carefully crafted Yosephine cv (get the resume here). Put your contact info in the green bar and change the dummy text with your persuasive master piece and you are ready to go! Don’t forget to install the included font to showcase all icons. Instructions for installing the font are included (this is a super easy process which takes 30 seconds of your time). 5. When done, save the template as both pdf and docx.